Kikuichi's Swedish StainGold Knives feature a core of premium alloy steel which includes Chromium 15%, Cobalt 1.5% and Molybdenum 1.0%. It is clad on both sides with SUS410 stainless steel and tempered to a rockwell hardness of 61. In plain English, this is a premium quality knife. Iron ore from Sweden is reknowned for it's low sulfur content, which is a contaminant that must be removed. When a company sets out to create a Premium knife, they must use the best steel available, and then subject it to a series of special heat tempering processes. 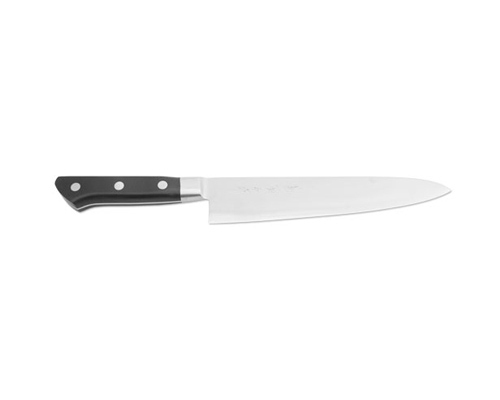 The net result on this line of Kikcuichi knives, is a blade with terrific edge retention that resists micro-pitting. Suitable for heavy professional as well as home use. 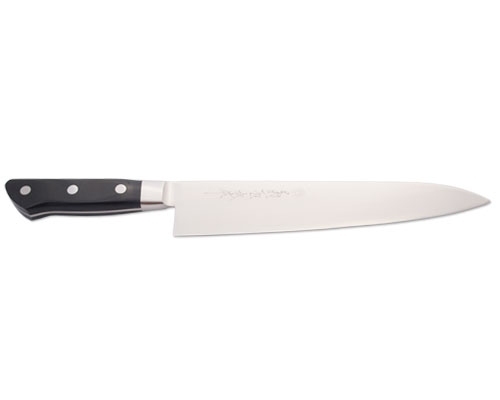 Kikuichi 7.1 in. (180mm) Swedish StainGold Series Gyuto. 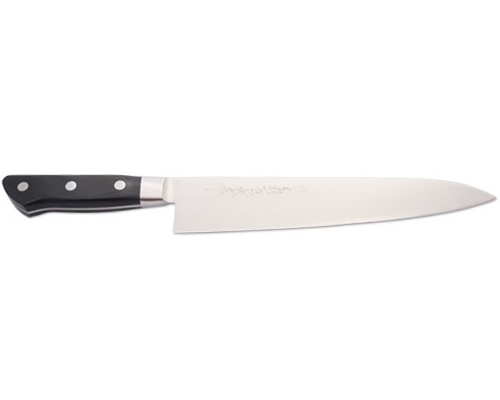 Premium alloy steel, clad on both sides with stainless steel. Professional and durable. Comes with wooden sheath. Swedish StainGold series is a premium alloy steel blade with a rockwell hardness of 61, sustains a sharp edge after repetitive use and comes with a wooden sheath. 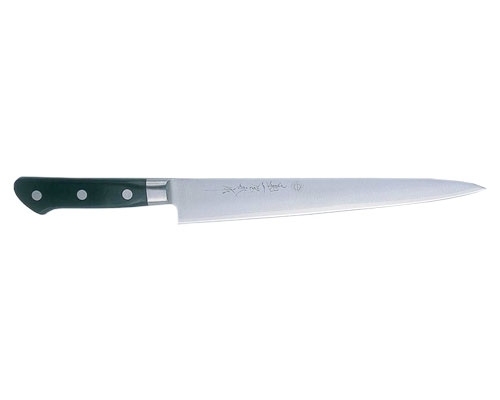 This knife is an all-purpose kitchen knife. Swedish StainGold series is a premium alloy steel blade with a rockwell hardness of 61, sustains a sharp edge after repetitive use and comes with a wooden sheath. This 10.6 in. 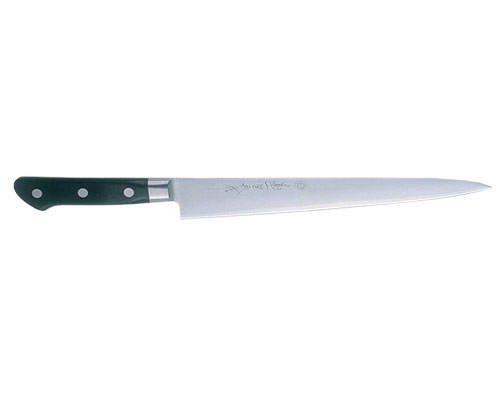 (270mm) knife is an all-purpose kitchen knife. Swedish StainGold series is a premium alloy steel blade with a rockwell hardness of 61, sustains a sharp edge after repetitive use and comes with a wooden sheath. Used for cutting fish.